What do you think? The game department does admit that there are more wolves than the number they publish. We know from surveys from all over the place that wolves, (unhunted) gain around 30% a year. This is the second year in a row that Washington survey indicates a gain in single digits. 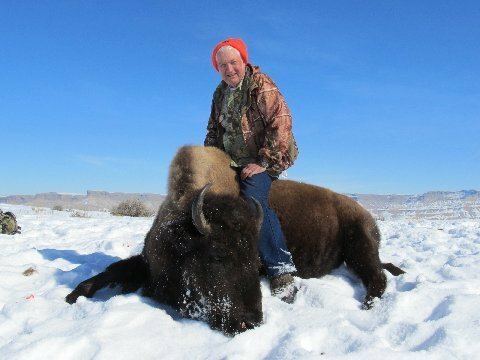 We also know that a number of hunters and ranchers are disgusted with seeing ungulates, wild and domestic, killed by wolves that are so concentrated in the Northeast corner. We know that some have taken the action to correct that. Which is it. Or, is it both? Are the surveys that far off, or are the conservationist keeping the numbers down? Nevada requires a $156.00 license if you want to gain points, and a $14.00 application fee for each application, except elk, that costs $19.00. Tag fees are charged after you draw. Points are bonus instead of preference, and they square them, like Washington. You get 5 choices on the application and all 5 are considered before they move to the next applicant. There is a lot of public land, but there is a surplus of wilderness and study areas that the folks that designated them have forgotten why they did it. Nevada is well managed. The state is all on limited draw. Depending on the area, trophy opportunities are available. I can't suggest a super area for deer or elk. I did see one dandy deer in unit 081, and a number of elk (when I was hunting deer) there. Most antelope areas are good. I may apply for the Northeast corner as I have seen some good bucks there. I have hunted 032-034. That was good, although that area is infested with wild burros. The big draw is the sheep, There are many Desert tags. You could possibly draw a desert tag (ram or ewe) and a California ram tag the same year. We hunted the Black Mountains when Cathy drew the tag. 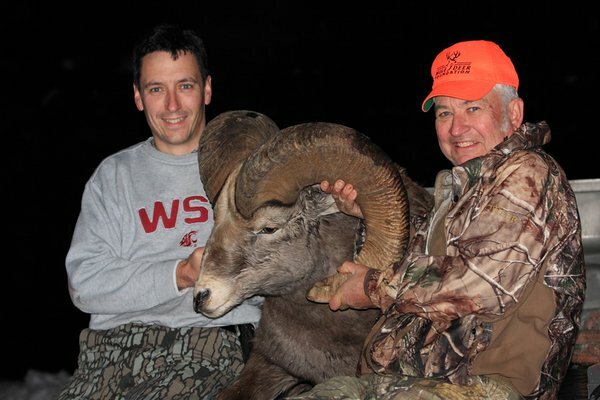 We were unhappy with Lake Meade Recreation area rules, so we rented a boat, glassed the hills, found and shot a ram. Across the road from there, the Muddy Mountains offer the most tags of any unit for Desert sheep. California sheep are found up North. Idaho applications for Moose, Sheep, and Mountain goat are due April 30th. Idaho offers the best odds for these three species. There are reasons for that. You must buy a nonrefundable license for $154.75, and the application fee is $41.75, and the permit costs 2101.75. On top of that, they no longer accept mail in applications, and the online fee is 3% of whatever you order. You must submit all these costs with the application. You only get back the permit cost if you fail to draw. So the cost is one reason fewer people apply. Another reason the odds go way up is the fact that you may only apply for one controlled hunt. You can buy an over the counter tag for deer or elk, but you cannot apply for any other controlled hunt. Moose -- The predictable tag reductions have been made. The wolves dining on the babies have resulted in fewer adults in the wolf areas. If I were to apply, I would look at some of the areas South, although there are opportunities everywhere. Mountain Goat -- Usually these things live in places hard to hunt although occasionally there are exceptions. I remember one in unit 10 standing across a creek not a hundred away. Bighorns -- Idaho offers Rocky or California. Cathy shot a Rocky in unit 28, and I got one above timberline in unit 37. The best unit far and away is unit 11, but faced with the odds there, we chose areas with good sheep, but not the great ones possible in unit 11. One is allowed to harvest one Rocky and one California. The California are located South of I-84. High success hunts, but beware of some artificially difficulty because of the silly wilderness areas. Montana applications for Moose, Sheep, Bison and Mountain goat are due April 30th. Montana has different draw periods for different species. deer and elk applications were earlier. Antelope and doe and cow draws will be later. They have bonus points and they square them, so you do need to apply or buy the bonus point later. The junk fees add up to about $100.00, but the $1250.00 permit fee is only charged if you draw. Moose- -Cathy did shoot one in unit 100, after passing 13 bulls. Now that was before the wolves. Although there were roads, too many were gated, and we packed the moose down a perfectly good road you could have driven a low rider on. I was not really delighted with the forest disService. Lately, I have been applying in the Southwest corner. Bison-- The bison migrate out of Yellowstone Park, that is if bad weather comes. If the weather is good, the hunting will be bad. Bighorns--- Somebody wrote a book called "Land of Giant Rams". That says it all! The Missouri River breaks produce rams in the 200 inch range every year, so most hunters apply there. There odds are terrible there, and although the temptation is certainly to apply there, I really want a tag, and the odds are better in areas that produce big rams, maybe not giant rams. The 10% nonresident limitation is by area, not unit. Mountain Goat--We have one on the wall. I could not chew the meat when I had all my teeth, so I may not try for one, although I was told that the nannies are delicious. The Crazy Mountains were once the place to go, but tag numbers are less than they once were.